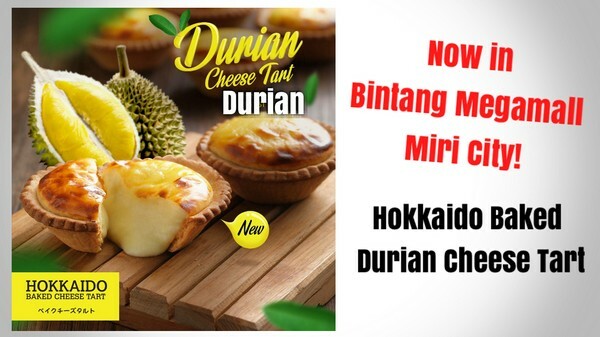 Good news for durian lovers. 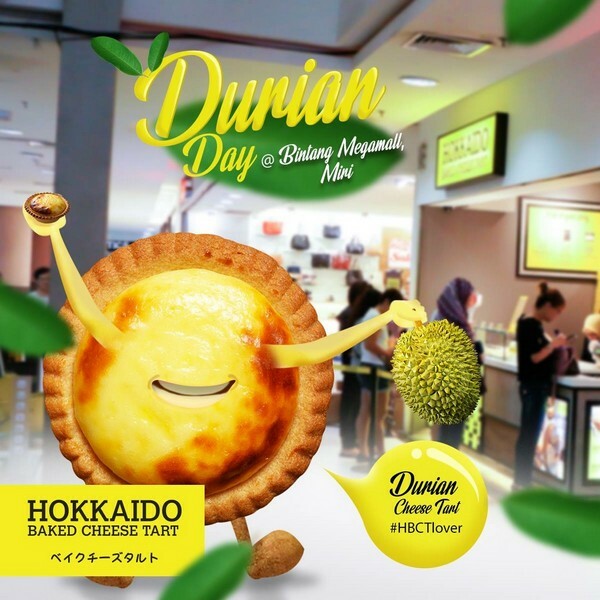 Hokkaido Baked Durian Cheese Tart is finally available Bintang Megamall Miri. 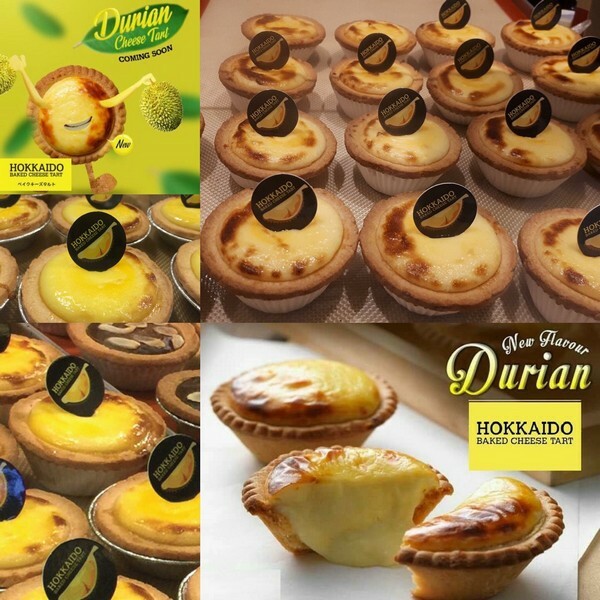 This is what we call “THE BEST OF BOTH WORLD” – DURIAN CHEESE TART people !!! Fuyohhh~~ Available in Hokkaido Baked Cheese Tart outlet Bintang Megamall now! Quick, limited season only. It’s selling at RM7 per piece. One does not simply have just one bite!